Marie Durant Chagall, the well-educated daughter of a wealthy shipping merchant, is living a privileged childhood with her half-sister, Solange, in Marseille when their cultured world is shocked into change with the chaos of World War I. Feeling restless and a desire to contribute, Marie volunteers as a nurse with the French Red Cross and quickly finds herself embroiled in the brutal, bloody battlefield of Verdun. Injured both mentally and physically and suffering a severe crise de tristesse sombre, a crisis of black melancholy, Marie eventually returns to life through the unexpected gift from her mother, who had died a few weeks after giving birth to Marie: a house among the lavender fields on the Meuse River, which Marie reluctantly opens up to care for fellow wounded souls. 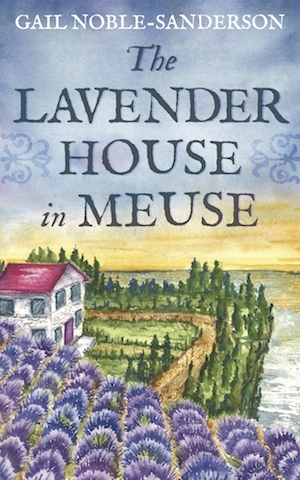 The Lavender House in Meuse presents an emotional, intriguing, and sensitive account of the crises of World War I and one woman’s journey towards recovery and growth.